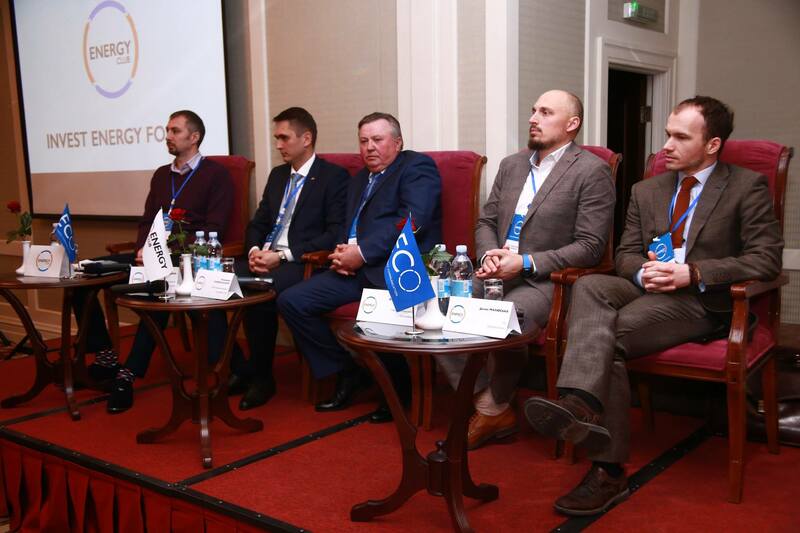 The Avenston team participated in the Investment Energy Forum, which took place on November 14, 2018 in Kyiv. 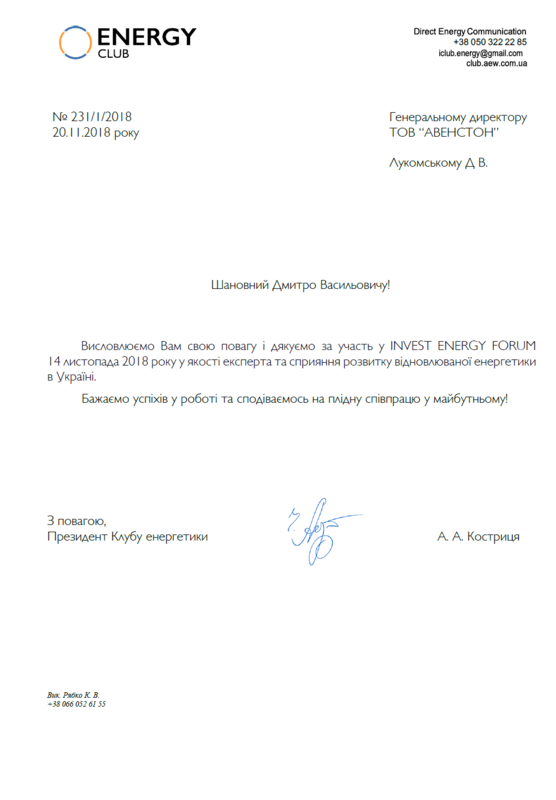 The event, organized by the Alternative Energy Club, brought together members of the Club, investors and representatives of investment funds, banks and international financial institutions, territorial communities, trade and economic advisers of embassies of foreign states in Ukraine, heads of industrial and agricultural enterprises and industry experts. The meeting began with express presentations of the participants, during which the guests of the forum talked about themselves. No less lively and informatively was the following panel discussion, the theme of which was “Investment Practice in RES in Ukraine”. Dmytro Lukomskyi, CEO of AVENSTON, shared his experience in implementing energy projects.